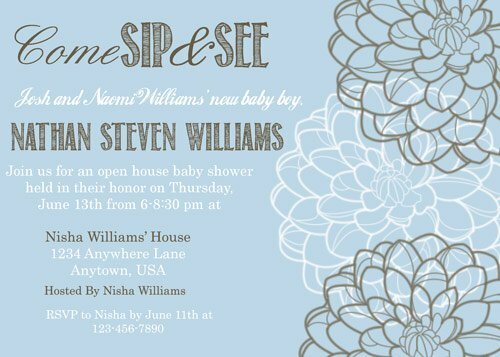 I threw a sip and see baby shower this past week for my sweet sister in law and her new baby boy. There is a 5 year gap between him and his older twin brother and sister, so it has been really exciting waiting for him to arrive. 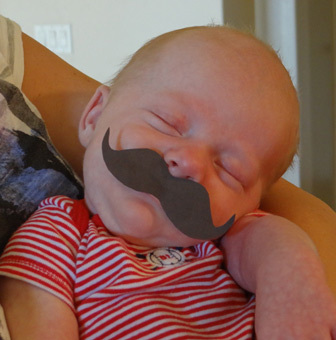 Scheduling didn't work out to have the party until after he was here (which is okay because babies are so cute anyways! ), so we turned it into a sip and see with him as the main attraction. He was simply adorable and definitely the star of the party! 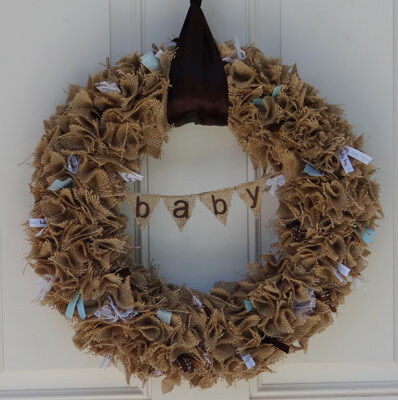 I made a scrappy burlap wreath to put on the door to greet the guests as they come in. 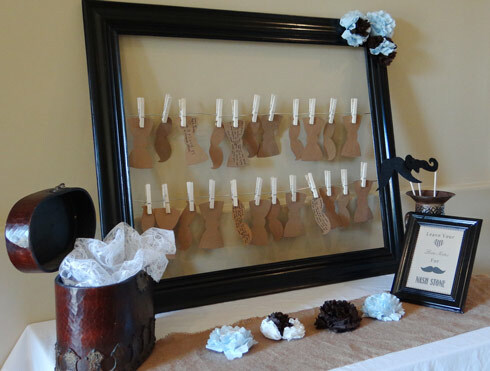 I added lace and ribbon to match the party's colors and pinned a burlap pennant banner to the center. 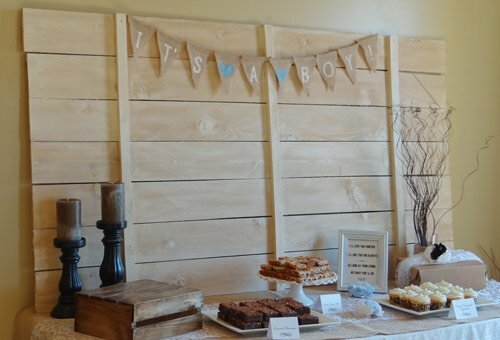 I wanted a rustic look to the party, so I used lots of burlap and lace to decorate. 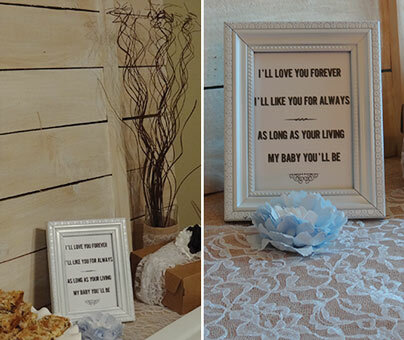 ;) I used one of my favorite poems on the dessert table from the Robert Munsch book,"Love you forever." 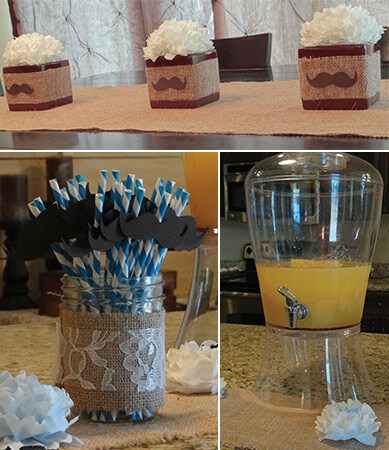 For the table centerpieces, I painted some square vases brown and wrapped them in burlap and added fun mustaches. On top, I attached napkin flowers for a simple and inexpensive touch. I also attached paper mustaches to striped straws. 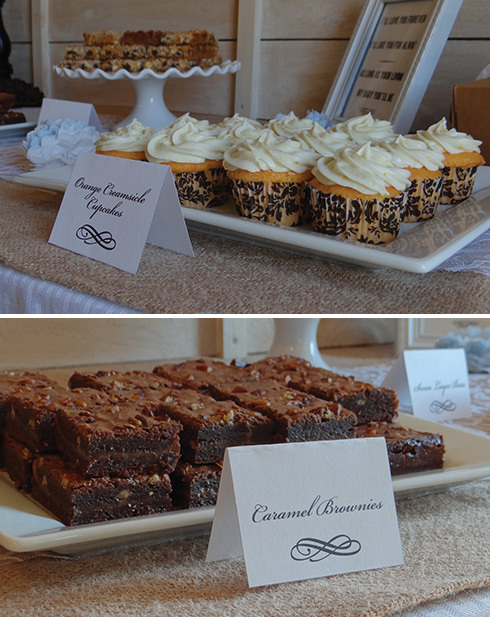 I served one of my favorite punches at the party. 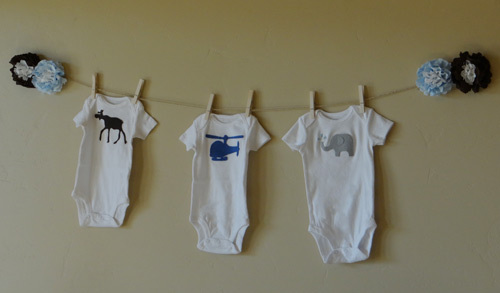 I made a baby banner with hand appliqued onesies. 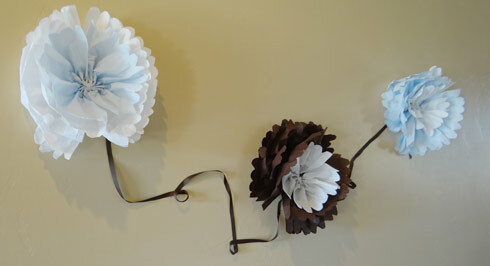 I also made larger paper napkin flowers to hang on the walls. 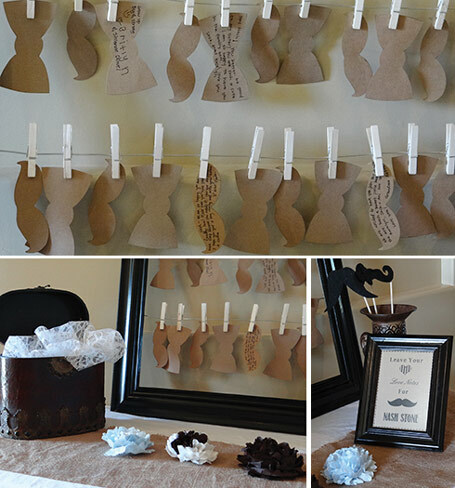 We had a table for guests to write their Love Notes to the new baby. 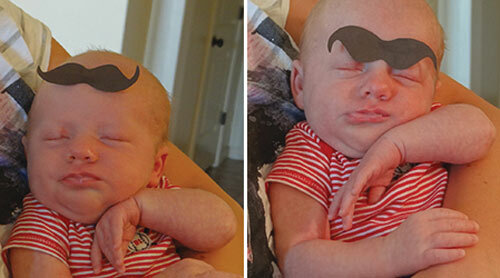 But it could also work well as a bow or unibrow. Haha! 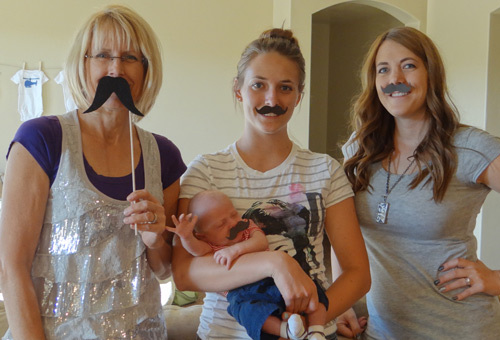 It was a fun night and I am so glad we got to share it with such an adorable little man!